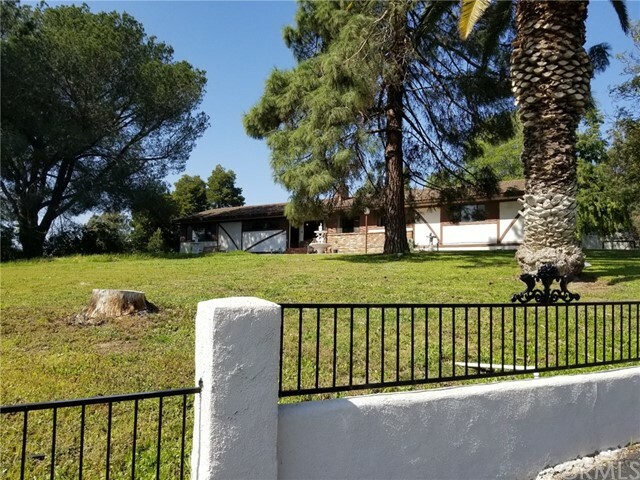 All Somis homes currently listed for sale in Somis as of 04/19/2019 are shown below. You can change the search criteria at any time by pressing the 'Change Search' button below. If you have any questions or you would like more information about any Somis homes for sale or other Somis real estate, please contact us and one of our knowledgeable Somis REALTORS® would be pleased to assist you. "Massive price reduction! Welcome to 5180 Kingsgrove drive..Commanding approx. 21 acres, of usable land. Majestic views of the vistas, inspiring peace and serenity, this stately residence radiates timeless grandeur. Exquisitely designed, master craftsmanship, with meticulous finishes, blend seamlessly to create an international masterpiece. Generous in scale, offering approximately 10,000 sq ft of intimate comfort. Through-out this astonishing residence, magnificent rooms ignite the imagination. It is welcoming, warm, unique, and richly imagined, with incomparable taste. The grand foyer welcomes you, with a 23' foot ceiling and grand chandelier, stunning spiral staircase with crushed limestone stairs and travertine flooring designed to compliment. The hallways offer 10 foot ceilings, and crushed limestone moldings.The Chefs kitchen offers stunning French country cabinetry design with Le Cornue, Subzero, and other upscale appliances, large center island with black walnut butcher block, which opens to the breakfast room and family room. Truly reminiscent of a French country estate. Full equestrian facilities, property enjoying income, offers solar, waiting for its buyers!" "Enter through a gated entrance and wind uphill on a private road and you'll reach Double Arrow Ranch, a custom 4,500+/- sq ft hilltop estate and 22 acre avocado orchard. Built in 2007, the modern style 4br/4.5bth home is designed to capture every element of the natural world. Floor to ceiling windows draw in dramatic views of the surrounding groves, Santa Monica Mountains and Pacific Ocean, while folding lanai doors in the kitchen, dining and living rooms bring the outside in. The open floorplan, outdoor BBQ & seating areas are perfectly set for hosting family & friends. The master bedroom with oversize bath and balcony feels like a private retreat. Designed for an athlete, the upstairs gym has its own AC system, bamboo flooring, & patio with ocean view. A seven car garage has four large doors, deep bays & high ceilings, making it the ultimate man cave. A 1,490 sq workshop could house an even larger car collection. The private solar system and shared ag well keep electric & irrigation water costs dramatically down. The Haas avocados are professionally managed & harvested, generating an annual income for the ranch. An open pad at the top of the property allows for a detached guest house. Double Arrow Ranch is a true legacy property!" "Premiere State-of-the-Art gated Equestrian Facility nestled on 20 acres in beautiful Somis, California. Fully functioning property operates as a boarding & training facility featuring highly rated hunter/jumper & dressage trainers. Apx 150,000 sqft of newly constructed, Olympic quality dressage & jumper arenas with superior footing, including 3 full-sized dressage courts, 2 jumping arenas lit for evening riding, a European styled hot walker, covered round pen designed for inclement weather, large turnouts, 9 different tack rooms upgraded w/insulation, Title 28 compliant lighting & thermostatically controlled venting, 9 barns w/135 covered and partially covered stalls including box stalls w/ Stable Comfort Mattress System. Other amenities include two manufactured homes and a manufactured building currently being used as the facilities office with a private owner/manager area, full kitchen. Perfect configuration of barns, landscaping & amenities to accommodate all disciplines." "Spectacular Ocean & Islands View Home in Somis! Set at the top of the Groves 2 neighborhood, the 4,375 sq ft, 5br/4.5bth single-story ranch style home takes in dramatic views all around. Ultimate view from the oversize living room windows and three of five bedrooms, while the surrounding mountains and orchards can be seen in nearly every direction. The quintessential California home was designed for indoor-outdoor living; vaulted wood plank ceilings and wide-plank hard wood floors create a warm interior, with bay doors opening out to the covered tile patio, pool and spa. The FIRST MASTER SUITE enjoys a private study, beautifully tiled master bath and oversize walk in closet. The current owners have expanded to include a SECOND MASTER BEDROOM and separate den, ideal for guests and/or full time family. A family orchard is enjoyed and well tended on the 2.48 acre property. The home is privately situated from surrounding properties, creating a feeling of peace and serenity for all who enter." "Welcome home! Boasting approx. 4200 sq. ft. of country living. A beautiful single story home with separate full guest house. Very private on over 1 acre abutting the 5th fairway, of the Saticoy Country Club. 5 bedrooms 4.5 baths with 2 master suites, wide planked hardwood flooring, beamed ceilings, and skylights for lots of natural light. Open floor plan with that nice country warm feeling.Professional chefs kitchen that opens up to a huge great room. Enjoy the bar area or wander outside to the large BBQ area with a custom fire pit for those cool country evenings. Great private guest house with 1 bedroom 1 bath with a complete kitchen and living room. Laundry area inside. Lots of citrus trees and avocado trees with a bridged path out to the 5th hole of the country club. Your dream house awaits you." "Remarkable Spanish style estate located on the 3rd fairway & 4th green of the exclusive and private Saticoy Club. Nestled between Camarillo and Ventura, this home is within walking/golf cart proximity to an excellent restaurant, gym and the #1 golf course in Ventura County; also within easy access to the 101/126 freeways- a true oasis! This showplace home is almost 4,800SF, and has a fantastic floor plan with great flow, lots of natural light, and large rooms. The grand two-story entrance showcases the classic spiral staircase and large formal living room, arched details and wood beamed ceilings. The downstairs also features a wood paneled formal library, dining room, den, large kitchen & breakfast room, large bedroom, full bath, and an over-sized laundry/mudroom. Upstairs, the expansive master bedroom suite has his & hers closets, a huge master bathroom with separate vanities, and a large balcony overlooking the golf course. This home is set back on the property and has a large and inviting circular driveway. The flat, 3/4 acre property is flat and usable, including the park-like backyard with a fantastic entertaining area, expansive lawn, and several fruit trees. The property offers a spacious 3 car garage, dual A/C & newer furnace - TRULY A MUST SEE!" "Bask in the southern California magic of outdoor living as you entertain or simply relish in your own private acre paradise! Swim, dance, play, dine or just relax in your zen garden - you name it and this incredibly landscaped yard delivers! This impressive estate sits on a cul-de-sac in a beautifully idyllic community and offers large, expansive rooms with intimate warmth and charm. With three bedrooms and two bathrooms both upstairs and downstairs, this home has a wonderful balance and flow! Downstairs you'll find an eat-in cook's kitchen complete with a Viking range, stainless steel appliances, granite counter tops, a buffet-style island and walk-in pantry along with a formal dining room, two living areas (both with a rustic fireplace and access to the back patios), a wet-bar, laundry room and direct access to the 3-car garage. Upstairs leads to a romantic master retreat with a fireplace, private balcony, walk-in closet, updated bathroom featuring a jetted-soaking tub, separate shower and dual sinks. RV parking, TONS of storage both inside and out, 3-zone heating and air, vaulted ceilings, fruit trees galore and several updated systems and features complete this special custom home. Come fall in love!" "Nestled on a quiet cul-de-sac street. Rare ranch-style home with 5 bedroom, 3 bath offers Serene and Peaceful life style . Situated on one flat & all useable land boasting a resort-like backyard.The exterior grounds are truly an entertainers delight. Featuring a sparkling pool, custom built-BBQ area & bar, covered lounge space, meditation garden, fire pit ,huge grass play area, Jacuzzi off master bedroom, 3 car garage, long concrete drive way , plenty of room for RV parking and / or a guest house , workshop. Some of its interior features include: Great floor plan, kitchen w/granite counter tops, tile flooring, stainless steel appliances, recessed lighting, two beautiful fire places & spacious master bedroom with walk-in closet, Shutters throughout, crown molding in bedrooms and air conditioning. This incredible property truly has it all." "Wonderful Somis view home. Approx. 2 acres of Mature Avocado groove. Custom 4 bedroom, 3.5 bath, 2 story home with loft/office. Guest bedroom downstairs w/private entry and bathroom. Viking appliances, granite counters and custom cabinets. Large view deck outback. Great for entertaining. Grassy yard and dog friendly enclosure. Separate field access for possible RV parking. A must see." "Welcome home to 4 beds, 3 baths, 2 fireplaces with a 3 car garages plus an expansive game room & detached bonus room--for writers/artists/fitness buffs--on 2 tranquil acres.Picture cozy evenings before the gas fireplace in the vaulted living room next to the formal dining room. Gathering in the gourmet eat-in kitchen with Viking appliances, new travertine floors, custom wine bar. Family room with wood-burning fireplace. Bedroom & full bath downstairs with hardwood floors.Follow the curved staircase to a serene master suite with walk-in closet, new vein-cut travertine shower, & hammered copper-skirted tub looking out toward the sunset & garden. Two more bedrooms with plush carpet, a full bath & expansive game room with view from the balcony.Breathe deep: 2 peaceful acres with room for your daydreams--horses, vineyards, orchards, gardens or hillside viewing deck! Relax in the remodeled spa & pool (new pumps, filter, heater, & safety cover). Avocados, citrus, & fig trees dot the fenced yard close to the house, with a pony shed & chicken coop behind. The home's tile roof, stucco siding & enclosed eaves provide fire mitigation.You won't want to leave once you make this peaceful haven your own, but if you must, downtown Los Angeles is just an hour away!" "Fabulous Large Lot Opportunity with a grandfathered separate 40'X70' Ballroom including bathrooms and workshops- Permit on file. Single Story Property, previous horse corals with a wonderful open back garden area for entertaining off Ballroom. Fully fenced property with mountain views. Just installed Central Air. Two car attached garage. Very long driveway and RV access to Ballroom."